You might remember a couple of weeks back the life sized Hot Wheels looping track that was being constructed at the X Games Los Angeles 2012. 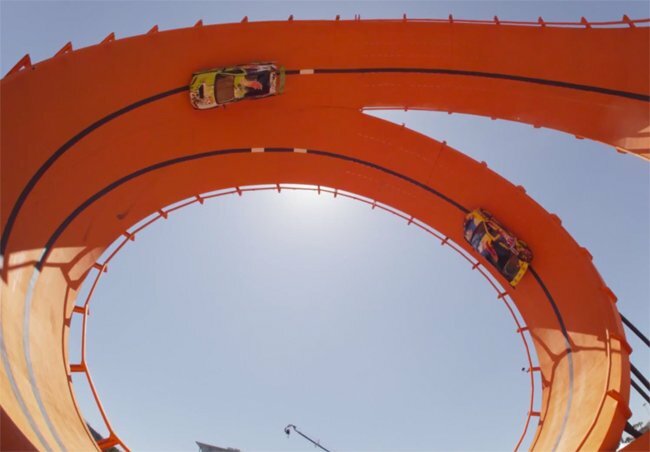 The two drivers for Team Hot Wheels set a Guinness World Records title over the weekend on Saturday driving through a 60-foot-tall double vertical loop. Watch the video after the jump to see it in action. The Hot Wheels track structure comprised of a seven storey high side-by-side loop, exerting a force of 7 G’s which the drivers took on at a speed of 52 MPH.